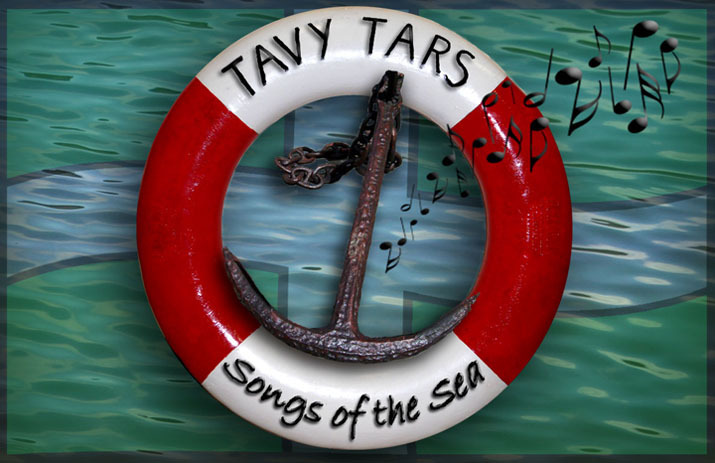 For the Tars, there are good days and great days. The 27th August was a great day as we made our second voyage on the “Scillonian” from Penzance to St Marys and back, compliments of Isles of Scilly Travel. 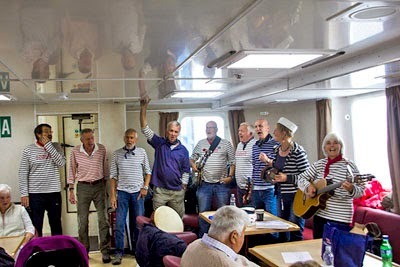 We were on board to entertain the passengers and to raise funds for the RNLI, and were delighted that the RNLI buckets were rattling to the tune of £381.53 by the time we got back to Penzance. Not bad given the weather conditions, which were challenging, making “heaving shanties “particularly apt. There were some firsts. We are used to performing for audiences of varied hues-this was the first time the prevailing skin tone was a lighter shade of green. Also the first time that most of the audience had their eyes closed throughout our performances. And the first time a Tar has shared his breakfast with the people in the front row. Plus Mike’s banjo threatening to do serious damage as it swung with the swell! But we were all well enough when ashore in St Marys to go and visit our friends in the Seasalt Shop and entertain their customers, who looked much happier than the passengers on the “Scillonian”. I wonder why?